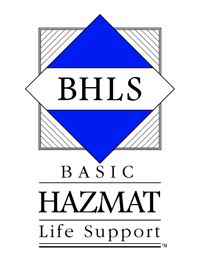 BHLS is 3-hour continuing education course. The course is online, consisting of 11 modules, a pre-test, formative questions throughout the course, and a post-test. The course can be completed in separate sessions, at the student’s convenience. Demonstrate knowledge of important physical, chemical, and other properties of hazardous materials. Recognize that the physical state of a hazardous material, i.e., whether it is a solid, liquid, or gas, determines if the material is secondarily contaminating and is one of the major determinants of the route of exposure. Use toxicological principles and concepts to organize the medical management of hazmat patients. Compare and contrast toxicokinetics with toxicodynamics. Recognize various toxic syndromes (toxidromes) due to hazardous materials. 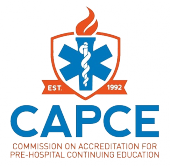 Formulate an organized approach for treating victims of hazmat incidents, including the AMPLE mnemonic, the primary survey and resuscitation (Airway, Breathing, Cardiovascular, Disability, Exposure), and the Poisoning Treatment Paradigm™ (Alter absorption, Administer antidote, Basics, Change catabolism, Distribute differently, Enhance elimination). Demonstrate knowledge regarding personal protective equipment (PPE) for hazardous materials incidents. Recognize that each antidote has its own indications, contraindications, complications, dosage and route.